Prepare this recipe by mixing bison with seasonings. Mold the bison into a patty and cook on a non-stick surface on medium heat for 6-8 mins. 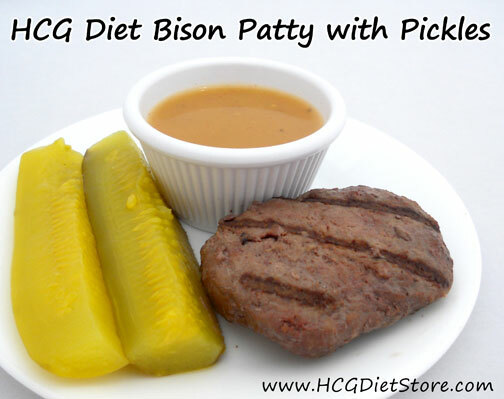 Serve this burger with Simple Girl Sweet Mustard Dressing for dipping. Diet Tip: Not all brands of pickles can be eaten on Phase 2, so check the ingredients.